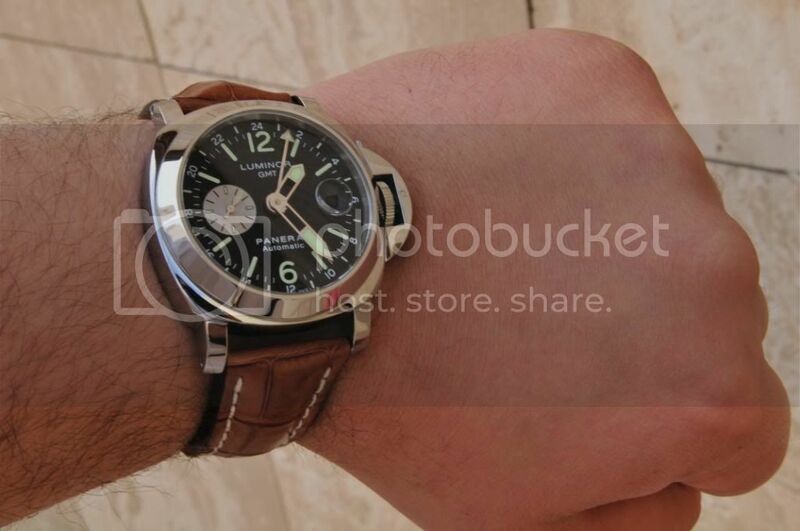 The Panerai Source Forums • View topic - Guess what strap this is? Guess what strap this is? 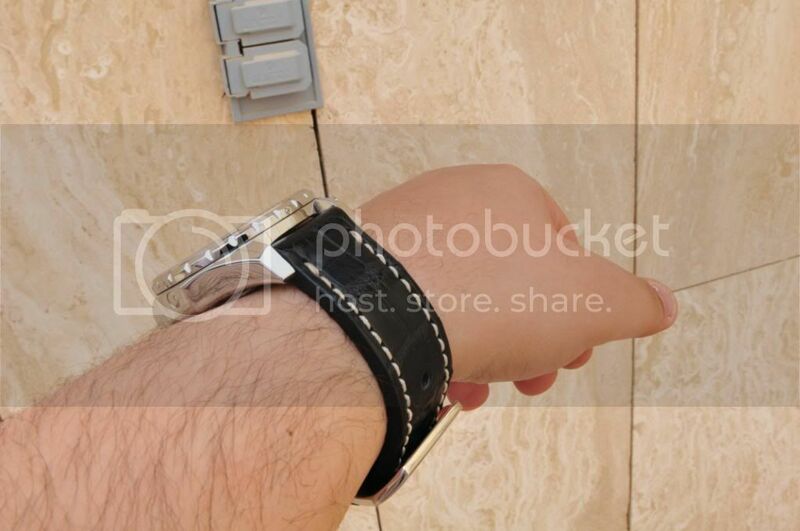 Post subject: Guess what strap this is? 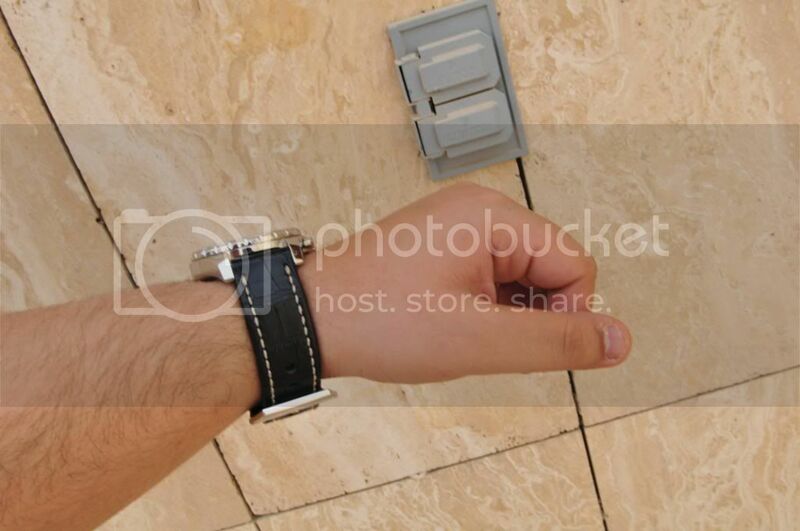 Post subject: Re: Guess what strap this is? In case someone was wondering, this is an OEM Breitling strap and deployant on my PAM88. I have been exchanging straps between my two favorite brands and quite like the change, I always have been a non-conformist. 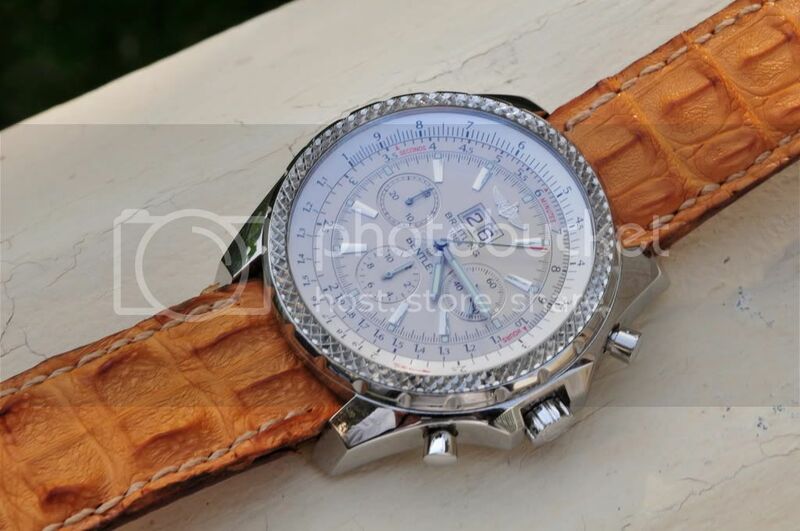 Darn i missed the post but the first thing I was gonna say was BREITLING STRAP!!!! 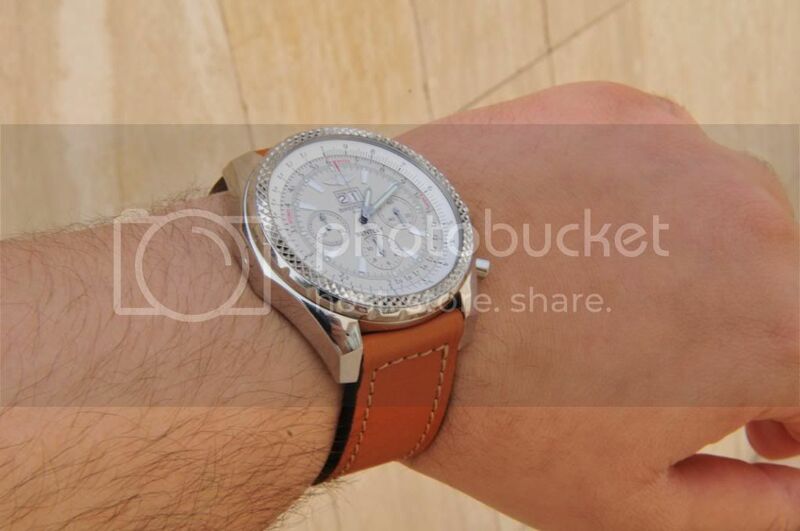 I dont like my panerai straps on my Breitlings but it seems to work the other way around. Not sure about the hornback but it looks great on the other two! 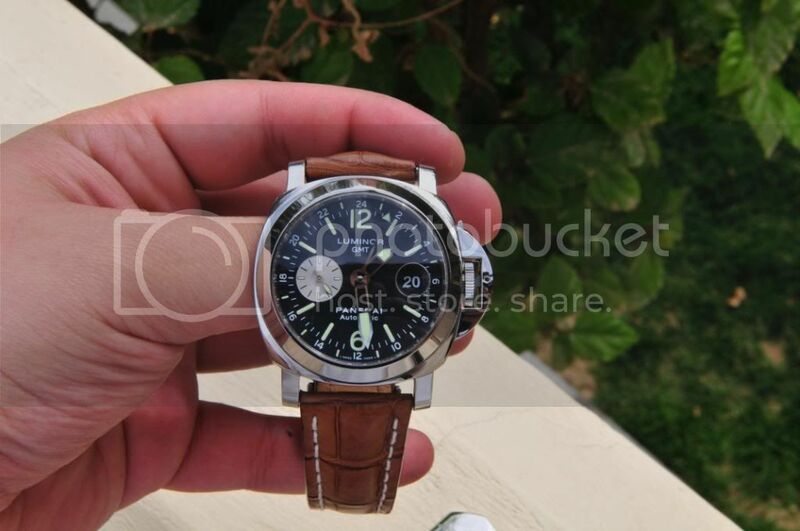 I've stuck my Motors T on a OEM Panerai Croco Deployant and it looked good too. me too. 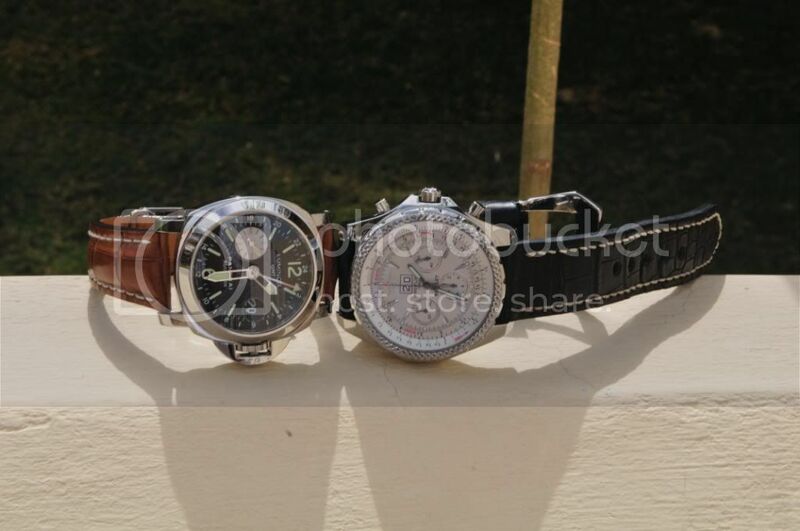 not a fan of hornback straps on Panerai's. 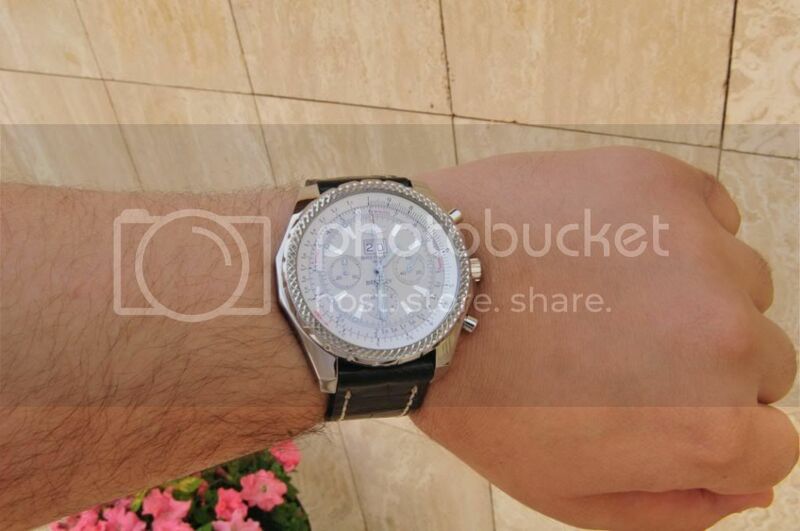 they look 10x better on audemars piguet royal oak offshores imo.